I’ve had at least a few people pitch me their RSS readers in the last few weeks telling me how their method of news consumption is so far superior to the Google Reader method. If I thought that GReader sucked, I wouldn’t be upset that it was gone. I’d have migrated away years ago – it was certainly easy enough to do. 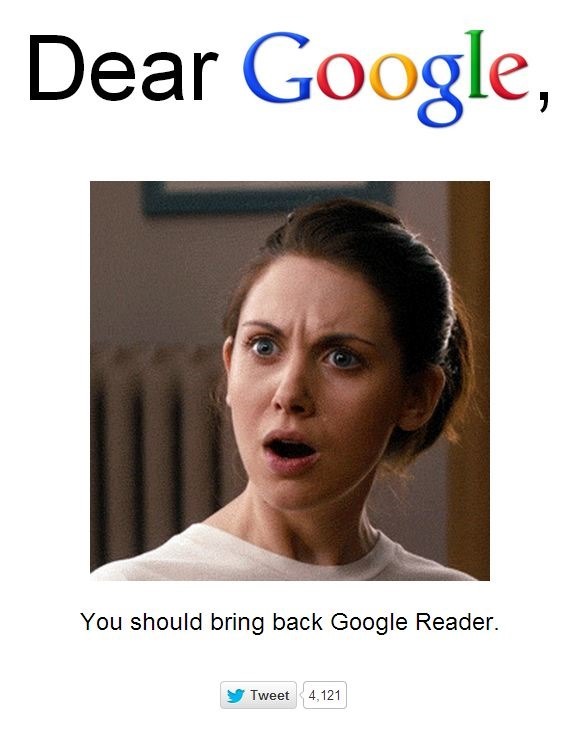 Don’t pitch me your RSS reader or newsreader by telling me you’re better than GReader. It’s not going to work. It’s like telling me that I’ll love this girl you’re setting me up on a date with because she’s so much better than my wife who just died. Not the best pitch method.